2. 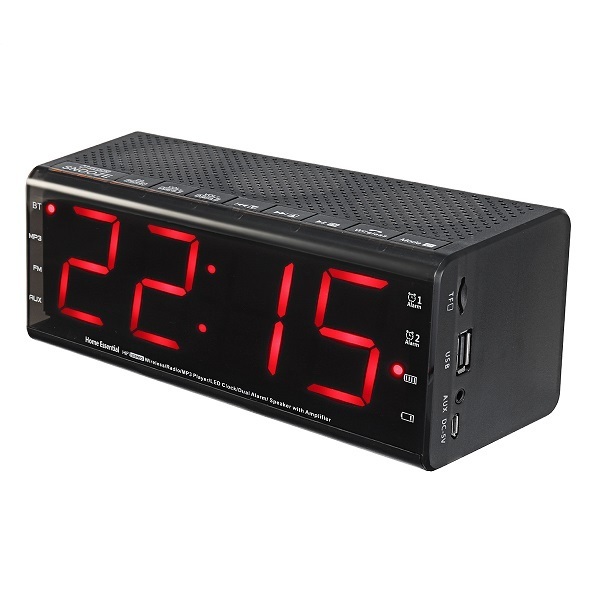 5.5 inch LED Screen Clock: Easy to see anywhere clearly in your room and the light will not disturb your peaceful sleep at night. Two different alarm sounds. The alarm clock mode can gently wake you up on time. You can choose radio or ringtone as an alarm sound on different operating modes. 3. 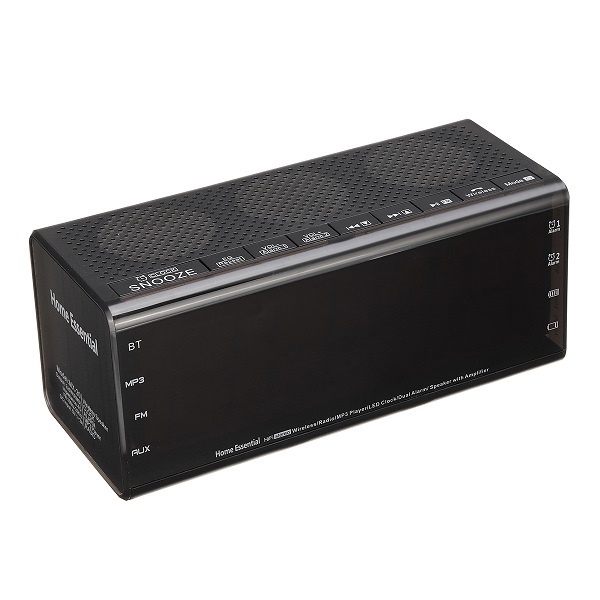 Enjoy Music With Bluetooth Speaker: Simply connect speaker with your phone or any Bluetooth enabled devices to play music or make a phone call. It’s cordless and easy to carry with you anywhere. 4. FM Radio: Built in FM digital tuning radio with strong reception and clear sound for you to enjoy music, news, story anywhere. Frequencies range from 87 to 108MHZ. Support playing by TF card, U disk and AUX audio cable. 5. Built-in High-fidelity Microphone: Supports hands-free calls. 6. Music Player: Support TF card and 3.5mm auxiliary input. 7. 40mm Loudspeaker With Diaphragm Unit: Provides 360 degree stereo and delivers crisp and clear sound. 8. Support bluetooth protocol and the effective range is up to 10 meters. 9. Width Compatibility: Compatible with all Bluetooth-enabled devices. Enjoy a high definition stereo sound with an impressive volume whether you're lounging around the house, or partying, walking out, camping, hiking and biking. 10. Easy controlling with buttons on the speaker, which is super convenient for you. 11. It looks good and is in a rectangular classic shape. The retro look matches perfectly with modern designed office or home furniture. Perfect for home, office and your bedside table.